Violence in southern Africa has occurred in a variety of modes including ethnic confrontation, liberation struggles and cross-border aggression and crime. 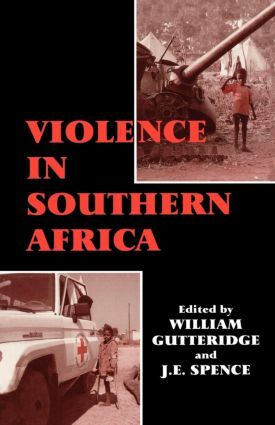 This volume examines the degree to which violence however defined has influenced political change across the region. The contributions include analyses of the ramifications of violent disorder in Angola and Mozambique, the impact on the political economy of both states and the prospects for lasting peace following the end of civil war. Angola – Groping Towards Peace or Slipping Back Towards War?